Being a good chef is not enough if you want to produce great meals. Of course, if you have talent you will probably be able to create something that people will enjoy eating, even if the circumstances are not the best. But if you want to display your skills in the best way possible it’s important that you have the right items to enable you to do so. So, what items should every good chef have to hand? The advice we provide in this article is intended to answer that question. Hopefully, after reading it, you will know what you need if you want to make the most of your talent as a chef. Obviously, you will need to do a considerable amount of slicing, chopping and potentially butchery. If you want to make a good job of all of these it’s essential that you have good quality knives at your disposal. The most important knife is the chef’s knife which is a multipurpose implement. You also need to ensure that you have specialist knives for tasks such as slicing and paring. Most good chefs prefer knives that are made from forged steel. They are more durable and they are long lasting. You will probably pay more for this type of knife initially but you will be able to use the knives you buy for many years. It’s a worthwhile investment in the long term. 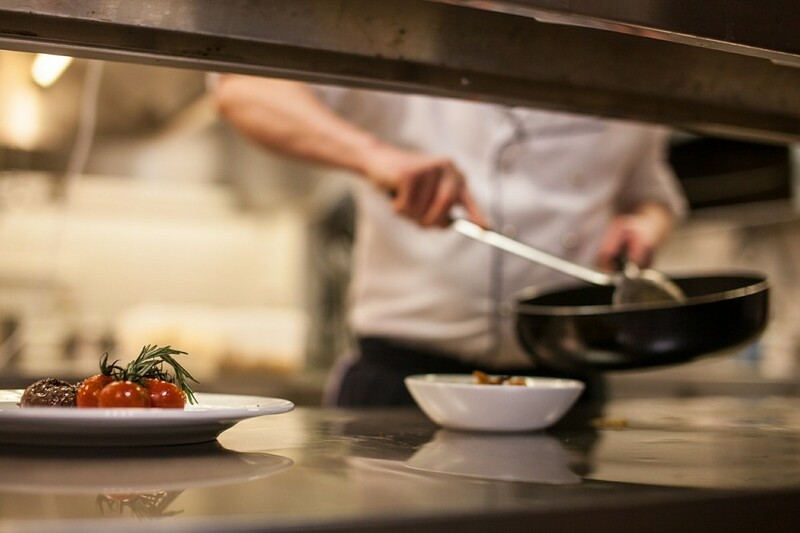 If you are working in a kitchen you need to make sure that you are comfortable and well protected. You have probably seen the white jackets and specialist bib aprons that chefs wear. They protect against hot liquid spillages and they also reflect the heat of the kitchen. These jackets are also reversible so stains can be tucked away until they are cleaned. Although, the pattern of chef’s trousers tends to be less formulated than it was in the past, the style is similar. Trousers are designed to have plenty of room in them so that air can circulate in a hot kitchen environment. Generally, it’s not a good idea to choose a full set of pans from one supplier. Matching pan sets may look good but they are often not the most effective solution to your cooking needs. You will find that each maker has a reputation for excellence in a certain material. Each type of material works better for some types of cooking than it does for others. For example, if you want to cook Asian food you are generally best advised to use cast iron pans. You should choose each pan based on how you are going to use it as well as its quality. You can see that being a good chef is not just about your cooking skills; it’s also about making sure you have the right items to use.